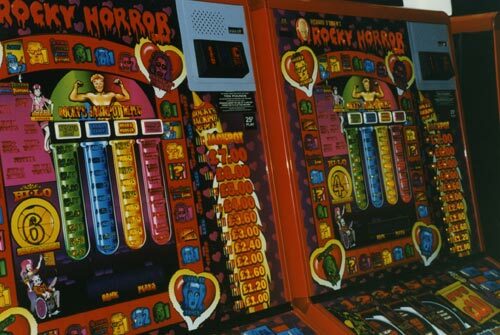 The Rocky Horror Show Games Machine was launched in October 1996 by BWB Newark Limited. 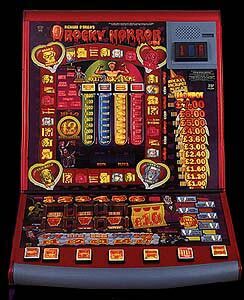 It is an Officially licenced product by the Rocky Horror Company and incorporates music and sound effects from the Show. 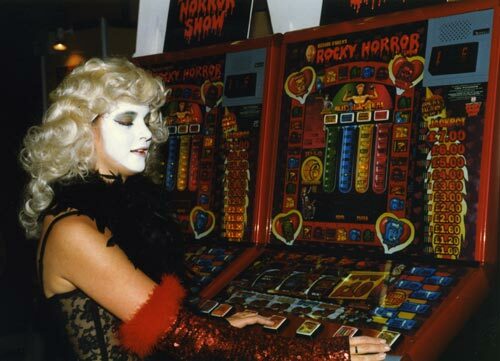 TimeWarp members, dressed in Character, helped launch the machine at the Gaming/Entertainment Industry Trade Show in London. Three Rockys on the winning line pays the big money! 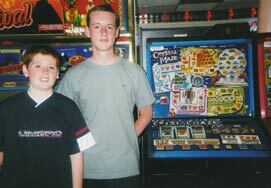 the Jackpot was set at £10.00 at the launch of the machine. The machine has cartoon style drawings of all the Characters from the Stage Show including the Narrator and also the photograph of Richard O'Brien that was used in the 1995 Show publicity. 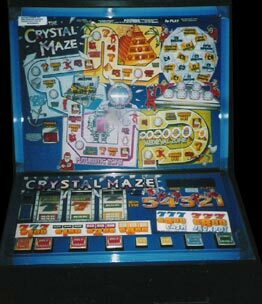 There is also a Crystal Maze QUIZ machine currently in use in the UK, we do not currently have information on who produces this machine, but any information we receive will be posted on this page.